Silbury Hill is the largest prehistoric man-made mound in Europe and possibly the most enigmatic of Wiltshire’s prehistoric landmarks. 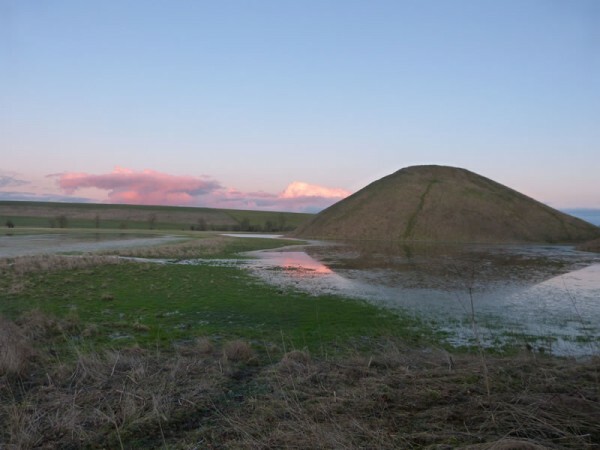 The mound reaches 31m in height, has a maximum diameter of 145m and was ultimately constructed from over 239,000 cubic metres of chalk (Leary and Field 2010) mainly excavated from a massive surrounding ditch dug using nothing but antler picks and human endeavour. I say ‘ultimately’ because recent excavations have shown that the construction of Silbury Hill was not a simple affair and the ‘hill’ was even at one stage a circular bank and ditch enclosure that bore similarities to the first phase of Stonehenge before it was covered by the gigantic mound we see today. Built from a variety of carefully chosen materials it’s construction was a truly enormous achievement and it was the last of the huge monuments to be built in the World Heritage site of Avebury and Stonehenge. 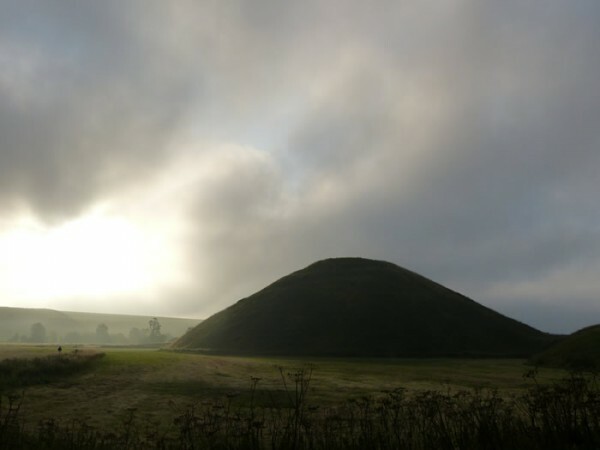 Inspiring the minds of poets and historians alike Silbury Hill is equally comfortable, or uncomfortable, in the realms of both folklore and archaeology. Always referred to by my dad as ‘the giant steak and kidney pudding’ it continues to resist categorisation and defy analysis. Almost certainly built over generations whether in one continuous effort or in several defined stages it was evidently a focal point of great importance. 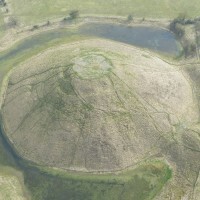 The most recent archaeological work undertaken in 2007 by Jim Leary and David Field for English Heritage has indeed confirmed that Silbury Hill ‘grew gradually, in a piecemeal fashion’ and was seemingly built with ‘no fixed plan’ (Leary and Field 2010); new radiocarbon dates suggesting a ‘rapid’ construction schedule between 2400 and 2300 BC (Leary and Field 2010). 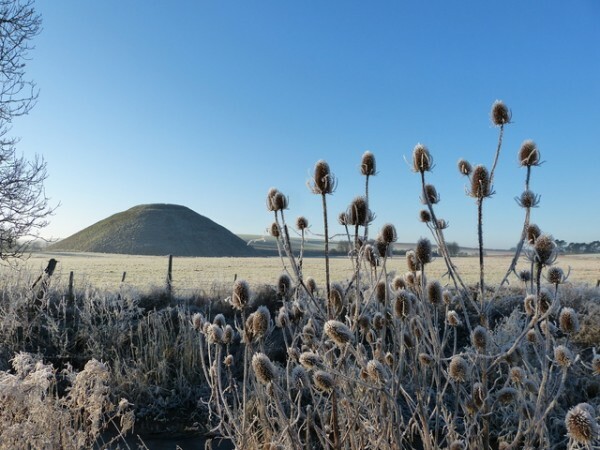 Silbury Hill was therefore built at a fascinating time with construction probably beginning during the period metal-working was being introduced into Britain, the transition between the Stone and the Bronze Ages. Although you are no longer allowed to climb it (as we used to as children) Silbury Hill never fails to impress. It can be approached from almost any direction, is eminently photogenic in all seasons and any weather, and is visible from all the ridges for miles around, obviously no coincidence there! Andrew Lawson tells of speculation as to whether it was a viewing platform, a cenotaph or an observatory for the skies (Lawson 2007). Maybe it was a dedication to the river Kennet which rises from Swallowhead Springs a very short distance away to join the Winterbourne stream. 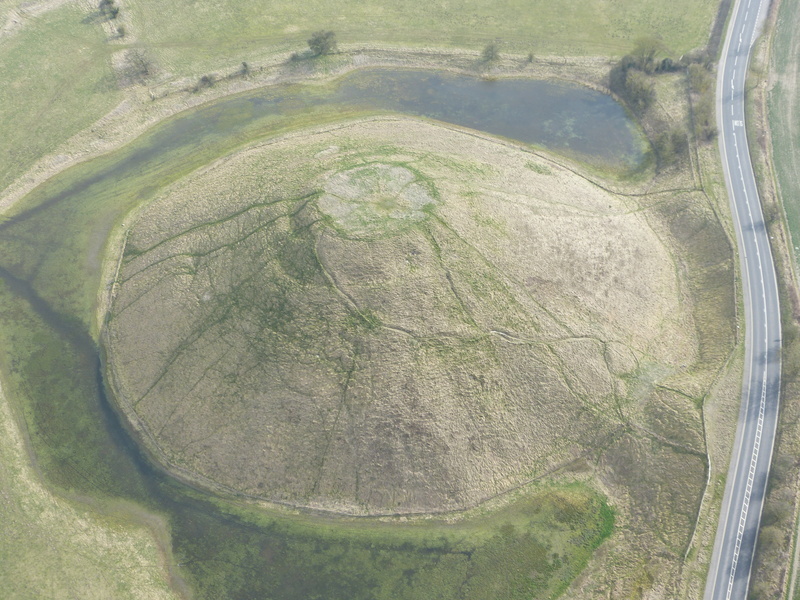 No burial has ever been found within the main structure although it has not been fully excavated below the original Neolithic ground level (Lawson 2007). The photograph above shows how Silbury Hill is set within its surrounding landscape. This picture was taken from the slope of Waden Hill one frosty morning in December 2014. 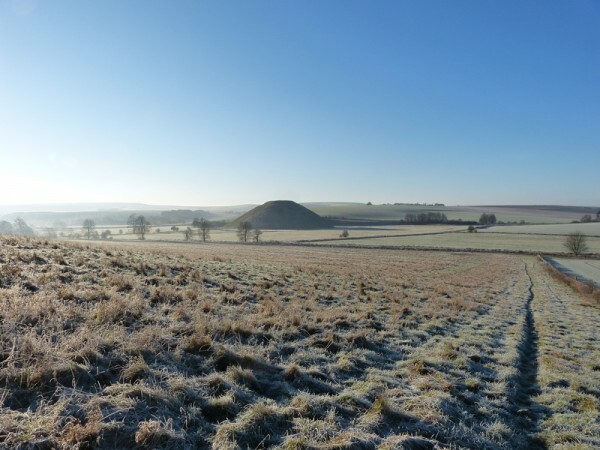 When contemplating Silbury it is worth bearing in mind Jim Leary and David Field’s caveat that the prehistoric period ‘perhaps lies beyond our intellectual and emotional understanding'(2010). This of course applies to all the monuments we visit on our tours but what I find so fascinating and enjoyable is walking the landscape with others while trying to get in to that mindset even if a lot of my, and for that matter anyone else’s, interpretations inevitably include a lot of imagination.